As you may know – Apple has given select developers an SDK for its upcoming Apple Watch, so that the wearable can hit the ground running with a good amount of apps ready to go. And, of course, said developers have been given a certain amount of guidelines they need to follow when creating their products, which, naturally, Apple will be reviewing before they hit the App Store. Well, one of these guidelines include that apps should be made in such a manner that usage of more than 10 seconds would be discouraged. Now, there has been a lot of speculation about the battery life of the upcoming wearable, and many believe that it will not be enough to last a full day with comfortable usage. So, this report may throw some oil in that fire, but on the other hand – the guideline may be catered to user experience as well. See, people usually don't want to spend a lot of time operating their wearable, so the time-limiting instruction may be carved out so that developers keep their apps short, sweet, and to the point – giving the user as much information at a glance as they can. Well, whatever the case, the Apple event, at which the Watch will reportedly be launched, is only a few days away, so answers will be coming soon. lol, this is going to be hilarious watching people scroll/press/touch/and send heartbeats trying to keep it within 10 seconds. Apple has so lost their touch it isn't even funny anymore. How can you have 10 different input methods and expect people to look at the screen for 10 seconds at a time? The wheel is useless then and the rest of the inputs will just add confusion. Next in line... It is advisable keep the iWatch off every alternate day to make the charge last a week. I don't think you understand the point of the article. Apple isn't limiting people to just ten seconds of time, they're encouraging developers to make their apps usable in that timeframe. While I don't necessarily agree that a hard limit should be enforced on developers, this actually makes a lot of sense: if it takes any longer than ten seconds, I'd probably just pull put my phone anyways. Or it could simply be to conserve battery life. Google isn't forcing anyone to do anything. The Play Store is filled with apps that use whatever guidelines they want. I never said Google was forcing anyone to do anything, but I can see how you read it that way given the way I wrote it. Sorry. What I meant to convey is that I hope Apple goes the same route that Google did with Material Design: suggested but not strictly enforced. Obviously, they can't make it a hard cap requirement because some apps will require more than ten seconds. I think what me and commentator are trying to do is to get Apple users to think outside the box and stop worshipping Apple. It could be for user experience or to conserve battery life or both. "Obviously, they can't make it a hard cap requirement...." - yeah tell that to commenter #3. It could be for a number of reasons, but it's a bit too early to suggest a hardware flaw, no? Commenter 3 is just saying the watch interface may interfere with a ten second time limit. Some are suggesting that it's for better user experience so why shouldn't some suggest that there's a flaw. It's just as plausible. Could the guidelines be used to conserve battery? Absolutely. Is there a hardware fault? Too early to say. A head to head comparison of total on-screen time would be the best way to see if the watch has worse battery life than the competition. Right. The fact that they have so many layers of interface in between the user and content literally makes any interaction more than 10 seconds. You look at the watch and see the watch face, hit a button to go to the home screen (.5 second animation at least, this is apple we are talking about), touch scroll to desired app (0.5 seconds, assuming perfect scrolling), zoom in via wheel (0.5 seconds), tap desired app icon (0.5 seconds, I'm being very generous with all of these), app animation (0.5 seconds + loading of any kind), interact with app using touch, force touch, zoom/scroll/wheel action, button pressing maybe. About 3-4 seconds taken with just getting to the task, the remaining 6 seconds won't even be enough to read 2 messages. A battery being sucked dry isn't a hardware flaw. But trying to use an LCD on a device so small with such a small battery is a design flaw. Simply because Apple is to lazy and dumb to simply use an AMOLED display. You also missed the part where Apple is screening all the watch apps. To make sure their guidelines and rules are being followed. Yes because we face factually historical info to prove its true: 1 - Back in the 90's, Steve Jobs told Mac engineers to release the Macs with no heatsinks because they didn't need them. After just a few months several macs started to failed. Apple said it was because of capacitors were damaged so to how the USER was using the computer and making it too hot. They charged for the repair. It wasn't until a user file a lawsuit on Apple for the flawed design. The Judge agreed and force Apple to repair them free and reimburse anyone who paid. 2 - The iPhone 4. Steve Jobs admitted that they did see a problem with the phone reception. After all, every iPhone has had reception issues. It wasn't some magical thing where Apple who had never made an accessory for thie phones, had a band that just so happen to fit only the sides and tried to pawn it off as a decorative item. If a lawsuit would have been file, the iPhone 4 ould have been banned from sale. That si why Apple gave the band away for free later. 3 - Every single iPhone and iPad has had connection problems over 3G/4G.WiFi and BT do to poor design 4 - The iPhone 6+ has a design flaw where the case near the volume rocker was not properly secured and it bends in your pocket. Where the device is so tall, that is where the device would be sticking out. Why? Because Apple failed to use either a stronger standard of aluminum or use magnesium as a mix to make the metal stronger or use a better frame inside. The iPhone 6/6+ have no frame at all. The total case is cut as a single piece with no added framing inside as teardowns have shown. They drilled the holes directly into the case to mount components. Do you think it is a coincidence that befoe the device was release, Apple set up a program to replace the device for 50% their retail cost? Or are you going to think they did this to be nice to you. Do you need me to list more? How about the brand new iMacs that arrived dead brand new. Then Apple said it would be up to 6 weeks for a replacement? Why? If I paid $3000 for an iMac and it didn't work when I got it, I expect when I call I get a new unit the very next day. Why? Because if I call Dell or HP with the same problem, they will ship me a new unit the vey next business day even if I call them at Midnight. In fact I did. I did call at 9AM, witj HP and I was on the phone with them until midnight. They decided to replace my unti. That same day, 7 hours later, FedEx was delivering me a replacement. PERIOD and I paid 1/2 as much for much better hardware vs a Mac. For Apple to admit a mistake would mean a huge detriment to their flawless marketing pitch. After all, who else on this planet sales flawed hardware other than Apple? They all do. The difference is, the other OEM's have never blamed customers even when it is the customers fault. Because of short battery life? .....Since the inception of the site....how long have you been here? I guess that's a way to disguise the battery life. This is in line with the way the notifications are handled: look at it, interact, get out, get on with your life. 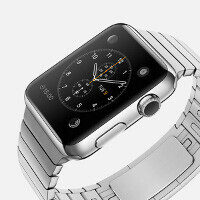 Not that I would buy a Apple Watch (unless it will be crazzy cheap and useful for sports). Explain why games are being developed for it then. I can't and it's not my job to do it :). I find it stupid enough to play games on an iPhone, imagine how I would think about people playing games on a tiny, sh*y watch display. I think the same...it's such a fuss developing games for a display that small. It's a no go for me...except for notifications and time.